Seemingly simple Fragment transactions can sometimes have unintended side effects. While investigating, we’ll learn how Fragment transactions actually work. 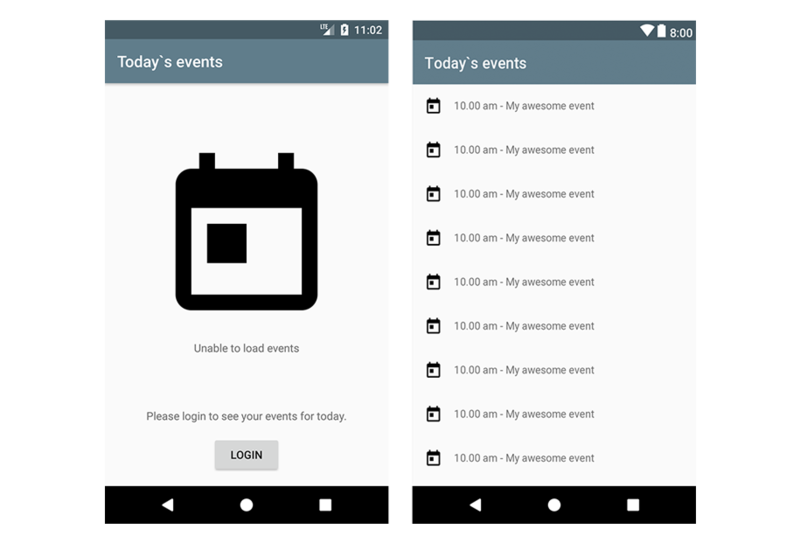 Let’s build a very straightforward app that shows all today’s calendar events for a particular user. To do so, users will obviously have to log in first. The login is a two-step flow that consists out of a UserNameFragment and a PasswordFragment. Afterwards, the app navigates back to the main screen to show the events. 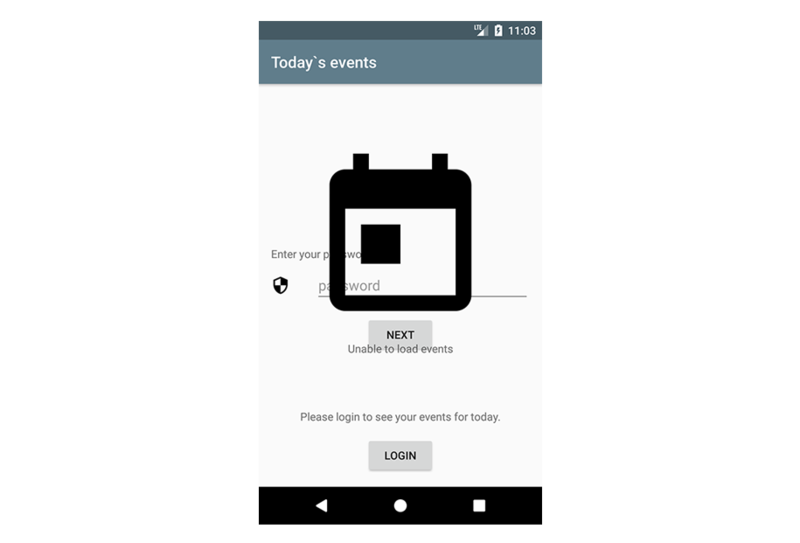 Note that for simplicity we don’t display the events when navigating back, but instead show the placeholder screen again after successful login. Notice that we only add the UserNameFragment to the back stack! This way one single back would always take the user back to the TodayFragment, making it super easy to navigate back when log in was successful. The PasswordFragment is back to haunt us! Now it is important to know that the FragmentTransactionManager only saves the FragmentTransactions that were executed, not the Fragments themselves! But because we are on the PasswordFragment, which has replaced the UserNameFragment, there is no UserNameFragment in this situation! 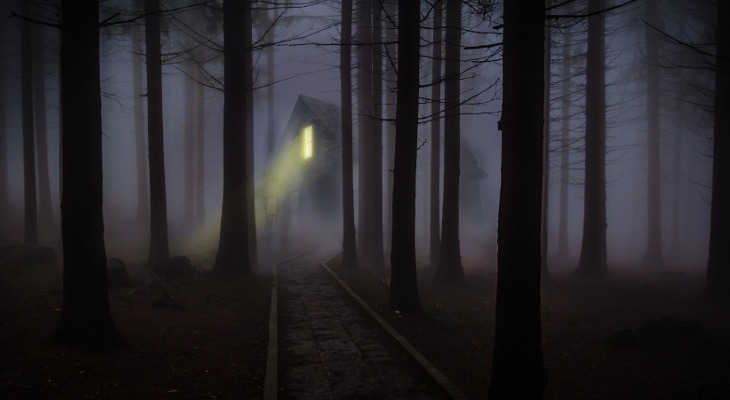 Hence nothing is removed and the TodayFragment is added leaving the users with both the PasswordFragment and TodayFragment. As a first stab, you could say that this problem is caused by transaction three not being added to the back stack. So why not also add that transaction and do a double back. While simple, this actually won’t work! After calling onBackPressed() the first time, the fragment will be detached from its activity, causing a NullPointerException on accessing the activity for the second back press. But even if that would’ve worked, it would still be a poor idea because this way the PasswordFragment has hardcoded in it that it’s preceded by exactly one Fragment. Should you ever change that, this would break. That actually works! But unfortunately, the PasswordFragment still needs to know what the first screen of the login flow is… This won’t just break easily, but it also makes it very complex to build dynamic login flows. So what would be the clean way of setting it up? Well actually… since all login screens together form a separate flow, why not just move them all to a single LoginActivity? Fragment transactions are a surprisingly simple concept of adding/removing and reversing those operations. When navigations become complex, consider moving parts of the flow to a separate activity. If you’ve made it this far you should probably follow me on Twitter . Feel free leave a comment below or check out the code on GitHub!